The Spellbound mother's ring is part of our luxury collection. 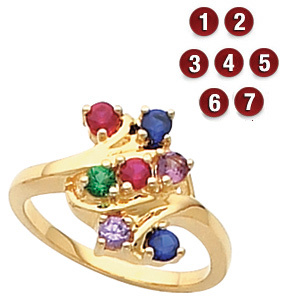 Made in the USA, this ring features personalization for 2-7 round birthstones. Each prong set gemstone is 2.7mm in diameter. Choose 14kt yellow or white gold only. This mother's birthstone ring is available with simulated or genuine birthstones.